Do you use Messenger? Probably! With more than 900 million monthly active users already and millions of new ones signing up each day, Facebook’s messaging app is on its way to surpassing the popular social network regarding popularity. 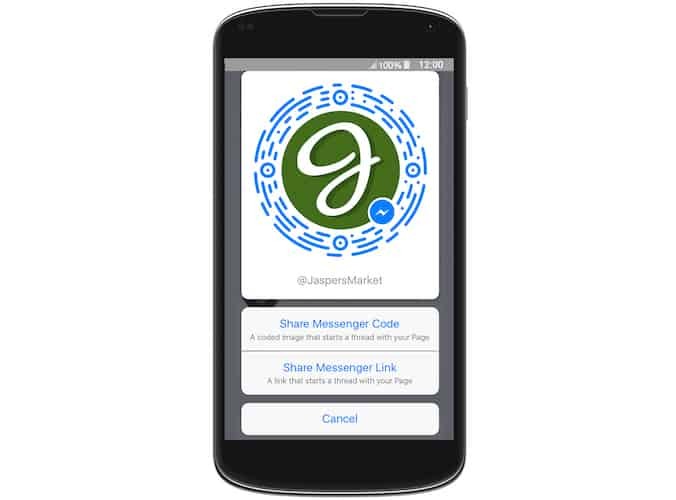 With today’s launch of M.ME Messenger Links, Facebook’s popular communication tool just became essential in any company’s playbook, large or small! While messaging on Facebook conjures up ideas of communication with your significant other, sending emojis to friends or inviting members of your family to a birthday, the business side is in fact – even more interesting. 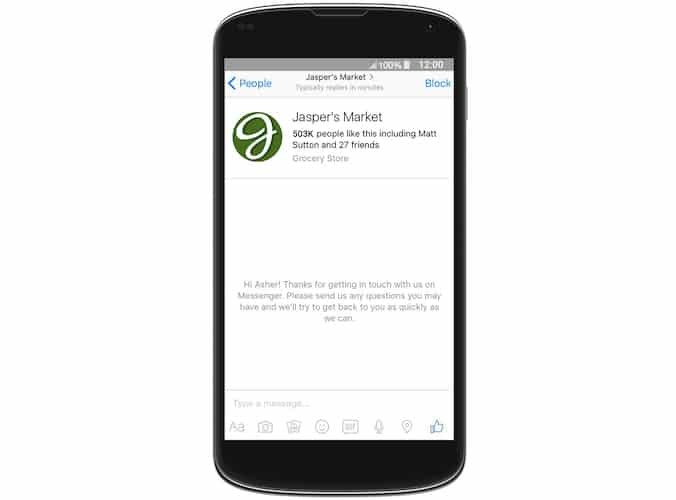 As Facebook notes in their launch post, over one billion messages are sent between people and businesses on Messenger each month. That’s millions of questions about products, services, appointments as well as a convenient way to answer customer service questions. What’s Your Facebook Business Username? Facebook Page Admins have had the ability to get a ‘username’ for their brand pages for a long time, making it easier to open a page like you would any website. For example, our own .ME Facebook page can be found at the URL www.facebook.com/domainme, with ‘domainme’ being our username. Facebook’s idea is to use usernames to make connecting to brands on Messenger even easier since each username on Facebook will be unique. These usernames will begin showing up directly on Facebook pages, right underneath the page title, with an @ symbol right in front of it. If your page doesn’t have a unique URL yet, you’ll be prompted to select a username. Now that you know how usernames will work and let you communicate with your customers, it’s time to meet the secret sauce to getting your business username in front of customers. M.ME Messenger Links are the new feature that businesses can use to create a short and memorable link (m.me/username) that, when clicked or typed in, opens a conversation with that business in Messenger. Another way to launch this conversation that Facebook is launching are Messenger Codes that work in the same way, but you use them with your smartphone camera. How To Use M.ME Messenger Links? I’m sure you’ve noticed a lot of businesses using Twitter or Instagram usernames, as well as Facebook page URLs on their website, advertising and other communication channels. Facebook started using FB.ME as a URL shortener way back in 2009. and even then we knew that it would be one of our most important partnerships. In the meantime, Facebook acquired some startups that use the .ME domain name, such as Karma.ME and MSQRD.ME. Today’s launch of the M.ME Messenger Links is the final confirmation that Facebook sees .ME as a reliable and longterm partner in the development of its products. The best part of working together is that it doesn’t take a lot of time or effort to get everything set up. They know what they want, we know what we want and then it’s easy to shake hands! M.ME Messenger links make communication between people and businesses faster on Messenger and are the final confirmation of how even a large, global brand such as Facebook can use a unique, social domain like .ME to improve its product!